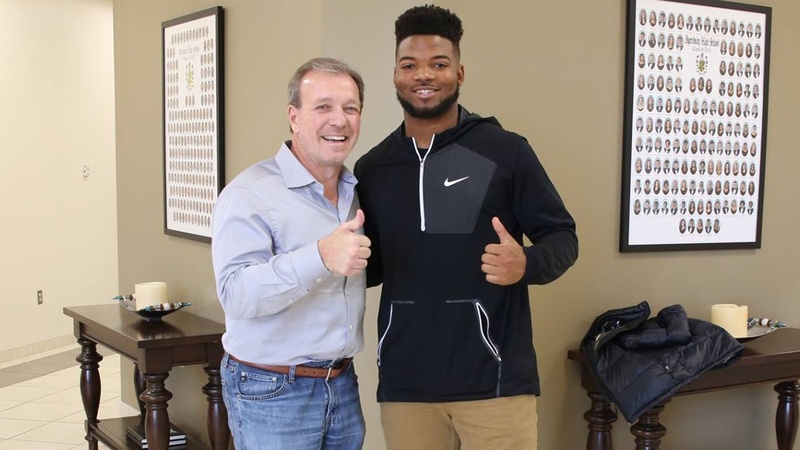 Linebacker has been a big need in Aggieland for the past few years, and coach Jimbo Fisher and his staff made the position a top priority for the 2019 recruiting class. All eyes were on Dyersburg (TN) linebacker Chris Russell‍ as he stepped to the podium to make his 4 p.m. announcement. Would it be Texas A&M, or would it be Arkansas? The 6-2, 220-pound defender kept everyone on the edge of their seats and laughing as he made jokes before finally ending the questions as he placed the hat on his head.